Fraxel Laser is an FDA approved skin resurfacing treatment that reverses the signs of aging and skin damage, resulting in smoother, younger looking skin. An excellent choice for treating acne and surgical scars, fine lines and wrinkles, brown spots, large pores, uneven pigmentation, and actinic keratosis (precancerous skin lesions). 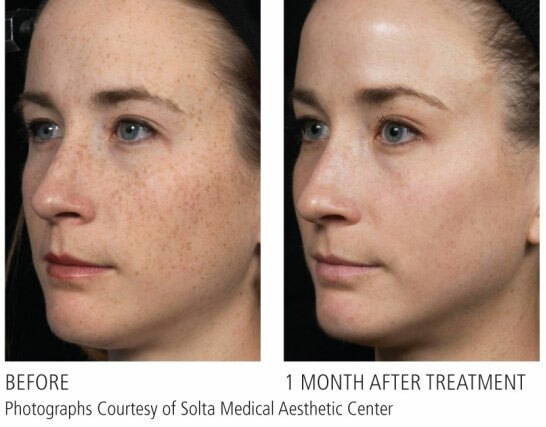 Fraxel is a non-invasive option that can take years off your face without the risks and drawbacks of other treatments. Unlike most treatments, Fraxel stimulates the formation of new skin to replace the treated areas, resulting in natural skin restoration and rejuvenation. Improvement is often immediate, though it may take 3-6 months to observe the full results. With a proper lifestyle and skincare regimen, results can be long lasting, reducing the need for other anti-aging procedures.